On Thursday 2nd March the Thought for Food participants gathered at the Botanic Cottage for lunch and to discuss the next steps of the project. Soup was made from vegetables growing in the Garden and Sean produced some very tasty cheese scones. After a satisfying lunch the group got down to work. 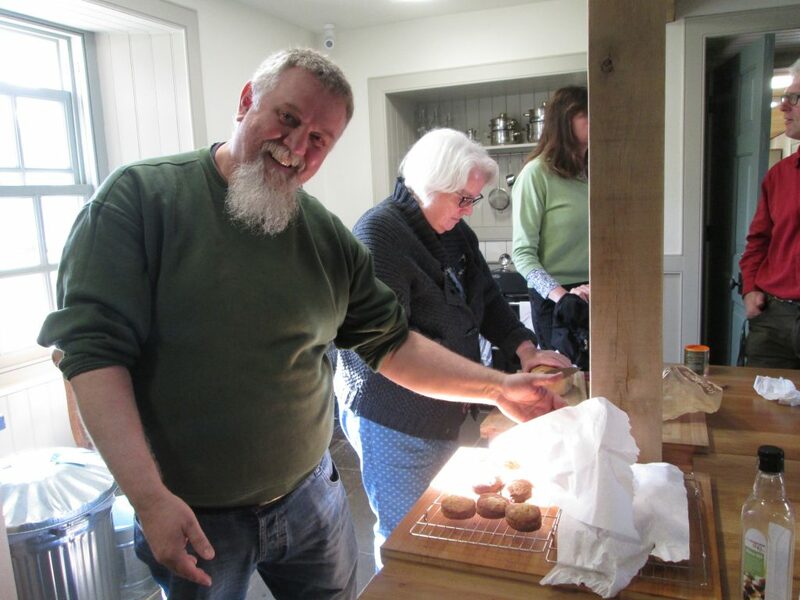 Sean shows off the cheese scones made with Botanics flour. At the first meeting of the group it was decided to explore the use of video for communicating stories of food, in particular the barriers to nutritious food and how they have been overcome. In order to move this idea forward Sabine Hellman, an Edinburgh-based filmmaker, was invited to introduce two possible methods that might suit the aims of the group: Participatory Video (PV) and Digital Storytelling (DS). These were unfamiliar concepts to many of us and it was interesting to hear about the projects Sabine had worked on around the world. Both PV and DS follow a similar approach to begin with and make use of story circles or one to one sharing of stories among the group. After this they differ as PV involves the group agreeing on a single story, while DS enables everyone to tell their own story. With PV the group develops the story and draws it out as a series of story board frames that will inform the filming and editing process. The skills involved in filming and editing are learned and shared among the group with a facilitator helping this process along. The end result is a short film made entirely by the group. 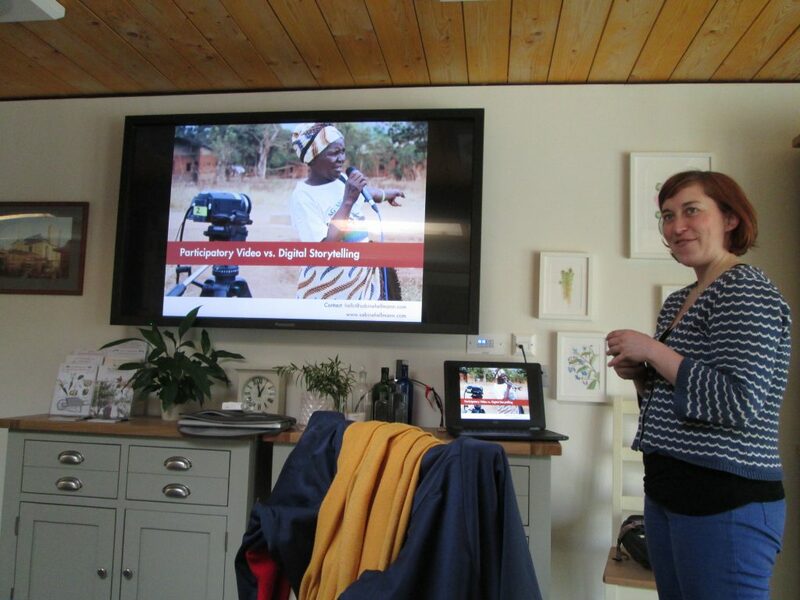 Sabine explaining Participatory Video and Digital Storytelling to the group. DS requires less time as the process involves still images instead of video. Here the story is recorded by the teller and suitable still images are selected to help illustrate the story. This process can involve participants taking new images. The focus in the early stages is creating a 250 word story that can then be recorded. The group then discussed the pros and cons of each method and the general feeling was that DS was of greater appeal. This was in part due to the smaller time committment, but also the option for greater anonymity on the part of the person telling the story.